A great comfortable space with remarkable ability to sleep a large family or group. Lovely living area and efficient kitchen and eat-in kitchen dining area. Two King Bedrooms with Sleep Number / Select Comfort beds and bath with large walk in shower. 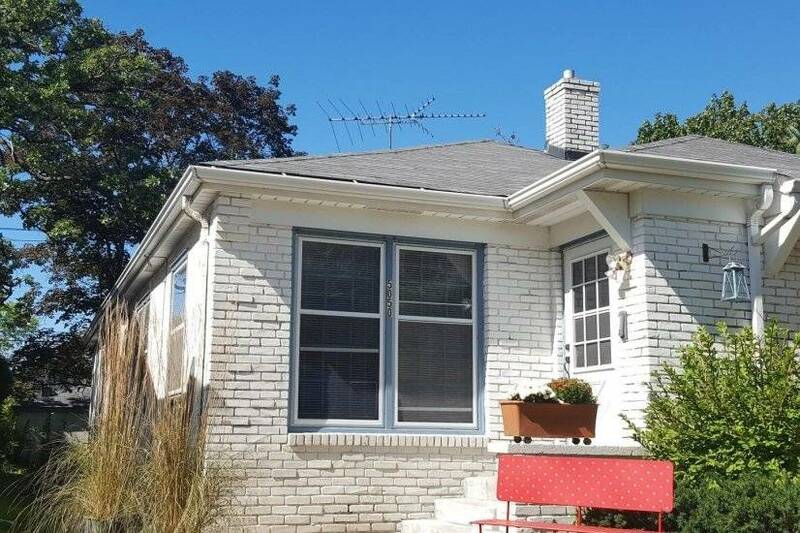 Double Bungalow (side by side townhouse), parking for at least one vehicle on site (No on-street parking challenges, except Sunday morning when the nearby Catholic Church has services!). Bus at the corner. Three additional sofa futons sleep three to six. Total occupancy up to 10. Crib and PakNPlay available also on specific request. Kitchen has refrigerator with freezer, microwave, coffee maker, toaster, four burner stove with oven. All plates, pots, pans, utensils included. Bath is tub and shower! Dining table in eat-in kitchen and patio for outside entertaining. Large HDTVs with Internet access.